My parents have a place they stay during the winter in Desert Hot Springs, California, about 12 miles out of Palm Springs. It feels (as even Palm Springs does) like it is just dropped in the middle of the desert, with vast expanses of dry land, endless blue sky, windmills, the San Jacinto Mountains to the west and Joshua Tree to the east. We love looking around in Palm Springs at all the mid-century modern architecture, but we really look forward to getting out of town and exploring. 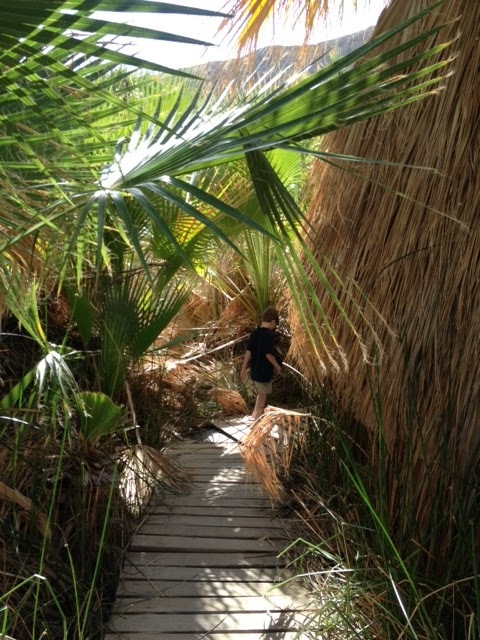 A few years ago we found this place, 1000 Palms Oasis in the Coachella Valley Preserve. 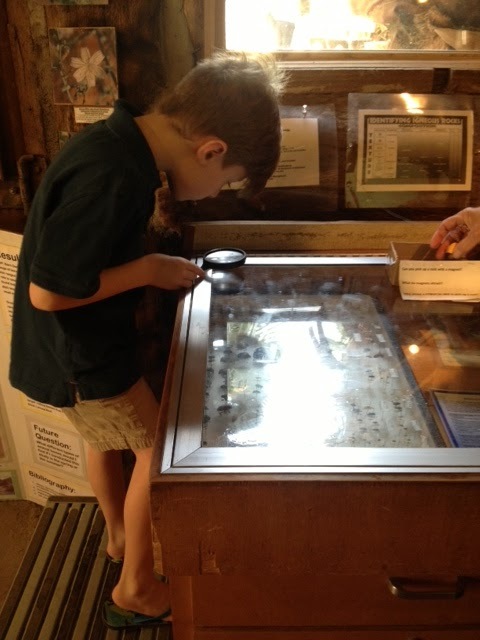 There's a little log cabin with historical information as well as displays and information on insects, regional animals, flora, hiking and such. The palm trees here are just massive. It truly is an oasis, a cluster of giant palm trees and spring water, with barren desert all around. Magical. Some history of 1000 Palms can be found here. AMAZING! 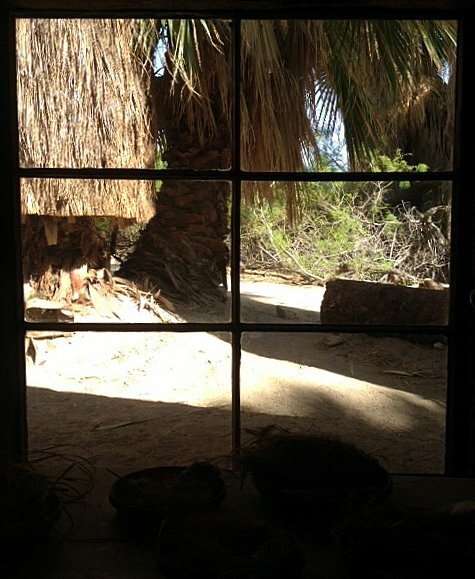 My dad has a place in the desert too, they live there almost nine months of the year now. But they live on a golf course and we pretty much only see that and shopping (cabazon). If we get invited to go down again I'm going to lobby to check this out! I should say that this particular oasis in the Preserve doesn't take long to get through, but the Preserve itself is quite large with miles and miles of trails and other oases (that we haven't explored yet! ).